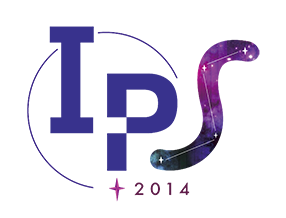 The International Planetarium Society (IPS) is the largest organization of professional planetarians in the world founded in 1965. Beijing Planetarium is the host of the IPS 2014 conference held from 23-27 June 2014. The Planetarium of Macao Science Center holds the Guinness Record of the highest resolution (8k) fulldome 3D theatre in the world since its inauguration in 2009. The IPS-MIFF 2014 is the first Fulldome Festival fully supported by IPS and hosted in the first 8k 3D fulldome planetarium theatre. 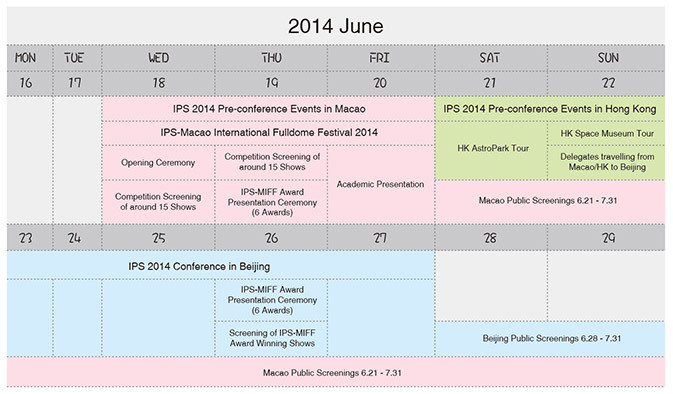 This Festival adjudication process is a pre-conference event of the IPS 2014 Conference in Beijing. An international line-up of about 30 digital fulldome shows will be shown and competing for prestigious awards during the Festival. A selection of the festival shows will be shown to the public in Macao from 21 June and in Beijing from 28 June to 31 July 2014.